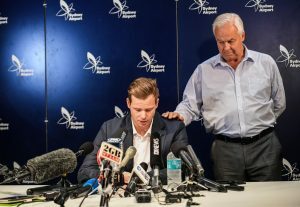 Australians hold their young cricketers to a far higher standard than their politicians and business leaders. 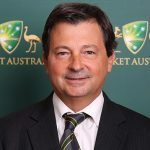 The following analysis of Cricket Australia, the sport’s governing body, is a case in point – a litany of rule-breaking. 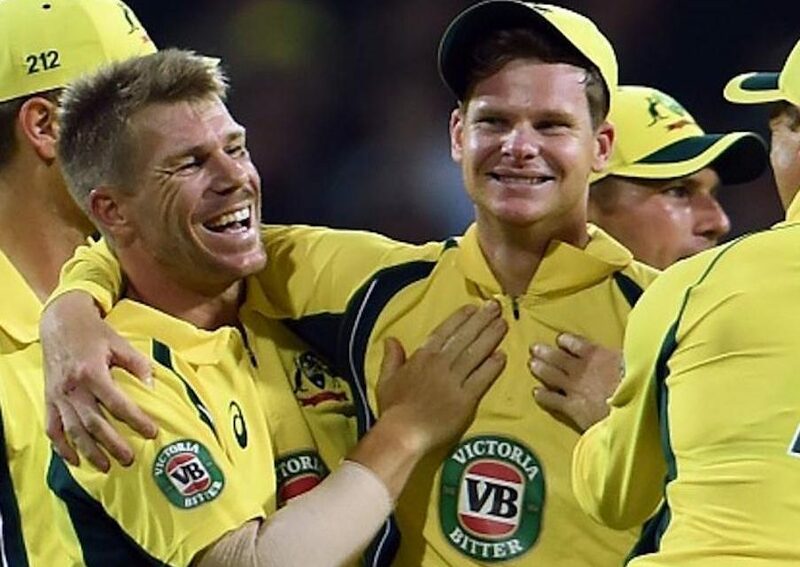 Amid the nationwide hand-wringing and the deluge of media coverage of the Australian cricket team’s ball-tampering, Australian captain Steve Smith was stood down and copped a one-year ban along with David Warner. Cameron Bancroft got nine months. After a teary press conference by the 28 year old captain, team coach Darren Lehmann also fell on his sword. Well might these sportsmen be accountable, remorseful, and belatedly honest about the scandal which has engulfed Australian cricket, but what of their governing body Cricket Australia? Who will undertake a full review into the culture of the corporate fiefdom which is Cricket Australia? Who will “implement changes” here? A flagrant hypocrisy at play when it comes to sport. Young cricket stars are expected to play by the rules but, for many business leaders, rule breaking is par for the course. Nowhere is this double standard more evident than in major sponsor, Commonwealth Bank, pulling its sponsorship of Cricket Australia in the wake of the players cheating. Commbank may not be an egregious tax avoider like other large institutions operating in corporate Australia but it is a veteran rule-breaker; whether it be forgery in financial services, defrauding customers in Comminsure or breaching the nation’s anti money laundering and counter terrorism financing laws more than 53,000 times. Corporate ball-tampering is rife. Billions vanish into tax havens as multinationals and their professional advisers, their “coaches” if you like, are routinely caught up in scandals on a global scale such as Lux-Leaks, Panama Papers and Paradise Papers. Has one of the perpetrators ever broken down in tears, confessed to cheating and been banned for one minute by authorities, let alone one year? No, unlike the sports stars, the media has failed to hold them to account, as have regulators. Same deal for political corruption; lies and scams are de riguer. How about cricket’s governing body? Has Cricket Australia itself been cheating? Readers can make up their own minds as we lay out an analysis of repeated breaches of the corporations laws and accounting standards. Let’s begin with one finding which would appear to leave Cricket Australia clean bowled, at least in respect of adhering to the Corporations Act. This is an organisation which is swimming in cash. Its financial statements show $637 million in revenue over the past two years. It has no debt, is sitting on $136 million in cash with a large investment portfolio. Yet Cricket Australia still gets government grants each year, over $4 million in each of the past two years from the Australian Sports Commission. There is no decent breakdown of the source of its income however: the likes of TV rights, gate, sponsorship revenue or sports-betting deals, but a good chunk of the money goes out to the state cricket associations each year. Last year it was $112 million, almost a third of total income. But here’s the catch. The financial statements disclose “Distributions to State Associations” but Section 254SA of the Corporations Act requires: “A company limited by guarantee must not pay a dividend to its members”. It would seem, on the face of it, that Cricket Australia has been paying dividends to its members for seven years. The governing body and its chief executive James Sutherland were approached for comment for this story but there was no response. This is understandable mind you, given the magnitude of the scandal which has beset them. And to put this story in broader context, this website specialises in corporate misbehaviour and a brief browse through the stories will show that Cricket Australia is by no means alone when it comes to discrepancies in its financial statements. Still, it is worth chronicling because corporate failures are far more damaging than sporting failures to the economy and social fabric of a nation. To whom is Cricket Australia accountable? Who does this body represent? Is it the players, its members, the game? Searches show Cricket Australia is a company “limited by guarantee” which means it doesn’t have shareholders. It has members. These are the six state cricket associations. There was a company restructuring in 2012 following a governance review. There used to be 14 directors. At the annual general meeting on October 26, 2012, it was decided to change the constitution and the bylaws. “Cricket Australia’s new board would start moving in 2015 towards becoming a fully independent board by 2017”. It was formerly a federation with the states contributing directors but this structure was apparently too hard to manage. So the state associations ceded their rights to actually form the board of the body of which they are members. There must have been a quid pro quo, and that appears to have been money. Cricket Australia acts like Santa Claus for its members, handing out the goodies once a year, and those goodies exploded in line with rising sponsorship and TV rights. If you look at the 2007 accounts, revenues were $120 million. They peaked with the World Cup in 2015 at $431 million – and they wax and wane like sporting performances themselves – since falling back. Still, the top line has more or less tripled in ten years. It is hard to get a line on where they are getting their money though, and how they are spending it, but we have identified a raft of breaches of accounting standards. Again, Cricket Australia is not alone in this. The peak lobby group, Business Council of Australia itself, has broken the law 11 times in twenty years by failing to file its financial statements on time. And so it is with Cricket Australia, a raft of breaches. The Corporations Act requires that companies file their financial reports by a deadline, which is four months after balance date. Cricket Australia has failed to comply with this requirement on a number of occasions, including the past three years. They were even 247 days late in 2015. The Act also requires that companies comply with accounting standards but if you look at AASB 118 which requires a company to disclose the “significant categories” of its revenue, there is no revenue breakdown in its statutory accounts. The accounts were also filed 130 days late in 2005 when chief executive James Sutherland was company secretary. This brings another governance issue to the fore. The point of a company secretary is to report to the board on compliance with the law but Sutherland was also CEO in 2005. He wore two hats. He also wore two hats from July, 2001 to May, 2010 which is akin to umpiring and batting at the same time as the company secretary advises the board on complying with the law. In 2014, James Sutherland was appointed company secretary again. He stayed there from September 5 2014 until January 22, 2015. If the board appoints the CEO, who appoints directors then? It used to be the states, the members, as is normal corporate governance in public companies. One statutory document, the 2015 annual report, shows the company secretary as Christine Harman, “General Counsel and Company Secretary”. It says she commenced on November 24, 2014. The relevant ASIC extract however, shows James Sutherland was company secretary at that time. Harman, according to this filing, did not start as secretary until Jan 22, 2015 and James Sutherland was acting as secretary between Dean Kino resigning on September 2014 and Christine Harman’s appointment on November 24, 2014). 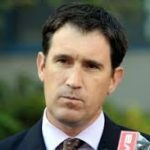 If the directors report of 2014 states the secretary is Dean Kino (general manager, legal and business affairs) and was signed in Melb on September 16, 2014, how can it also be true that James Sutherland was also company secretary at the time – as the ASIC extract was filed at the same time, September 16, 2014? Did directors know who the secretary was at the time they were signing the directors report? Is it a cricket thing, do they have executive “runners” on the pitch? In a normal company, shareholders appoint the directors. In the case of Cricket Australia, they are selected by a committee headed by an external consultant. The consultant, former BHP chairman and National Australia Bank chief executive, Don Argus, chairs the audit and risk committee. Who appoints the consultants? We don’t know that. There is a nominations committee of the board but two of the people on the nominations committee are consultants. 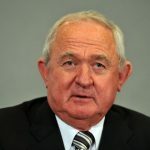 Cricket Australia chairman David Peever, formerly an executive with resources giant Rio Tinto, also chairs the nominations committee. Since the restructuring of 2013, there seems to be a creeping takeover by the business elite. Another director is Bob Every, formerly chairman of Wesfarmers. AGL and Qantas director Jacquie Hey is also on the board along with former Vocation director Michelle Tredenick. You might say company people are best to run companies, not cricketers. This is fairly big business after all but you would also say that the members, the state stakeholders and their tens of thousands of members in cricket communities across the nation have been disenfranchised. And despite there being a “Culture” committee on the board of the governing body, the culture of cricket is in trouble. True, sledging and aggressive behaviour on the pitch have always been trademarks of Australian cricket … but sandpaper? Queensland Cricket Association is, for instance, one member. In its financial statements, the distributions are called grants, not distributions. Queensland gets its funding from Cricket Australia but its corporate structure appears far more democratic – run by delegates from districts such Ipswich Logan Cricket Association, places which have cricket clubs, teams and cricketers in them. It is probably dancing down the pitch and taking too long-a-handle to suggest that ball tampering is a “trickle down” thing, that the directors of Cricket Australia have red ball marks on their proverbial whites. But it is clear that, in cricket, the money and power is entrenched at the top in Cricket Australia, whose directors can’t be sent to the dressing sheds by stakeholders, only perhaps by a nominations committee of independent consultants. It is also true that the purpose of ball tampering by multimillionaire players is winning; in turn winning makes more money both for them and for Cricket Australia. The corporatisation of cricket has also seen salaries soar, both for cricketers and executives. In 2007, there were 14 directors and nine people on the executive team, including current CEO James Sutherland. Remuneration was $1.9 million. By 2013, remuneration of the Cricket Australia elite had jumped to $4.9 million while the ranks of directors had shrunk to nine and there were seven on the executive team. Last year, remuneration for the key management personnel had risen to $6.1 million. This is a not-for-profit mind you. It is rolling in cash, pays no tax and it gets government grants. Given the taxpayer subsidy, every Australian, including those who don’t have the faintest interest in cricket, have skin in this game. It’s up to the corporate slips cordon now, but don’t hold your breath, business is not sport. The crowd is apathetic and the umpires are on permanent drinks break. NextPaul Budde: Is there a business case for the National Broadband Network?